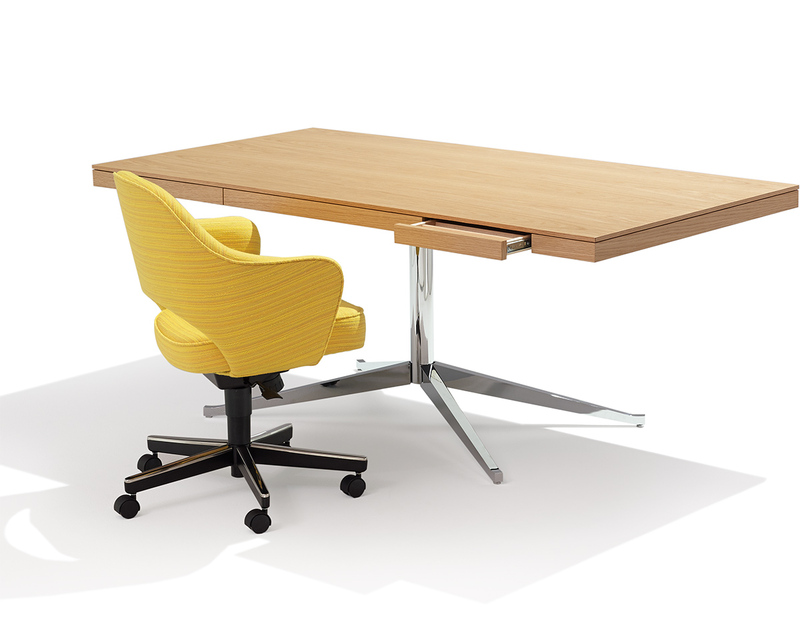 Florence Knoll believed that the quintessential desk facilitated communication. 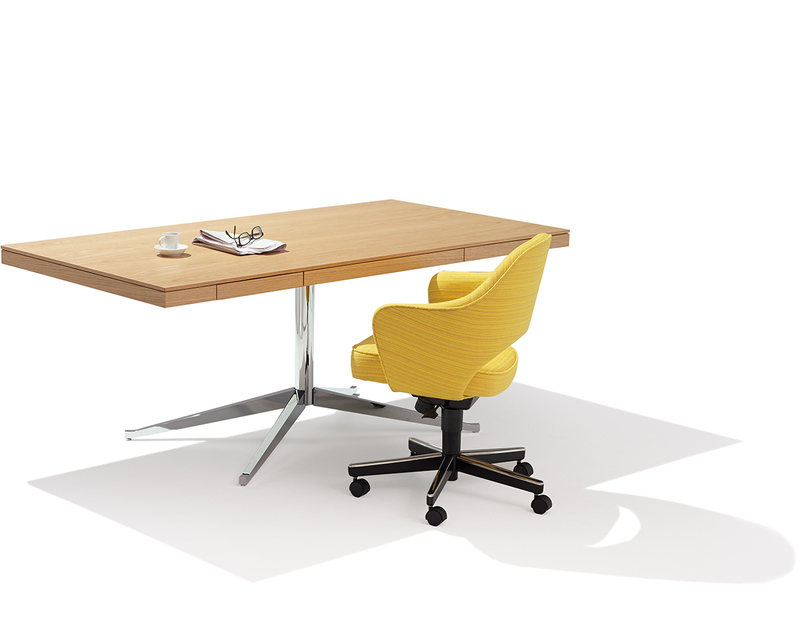 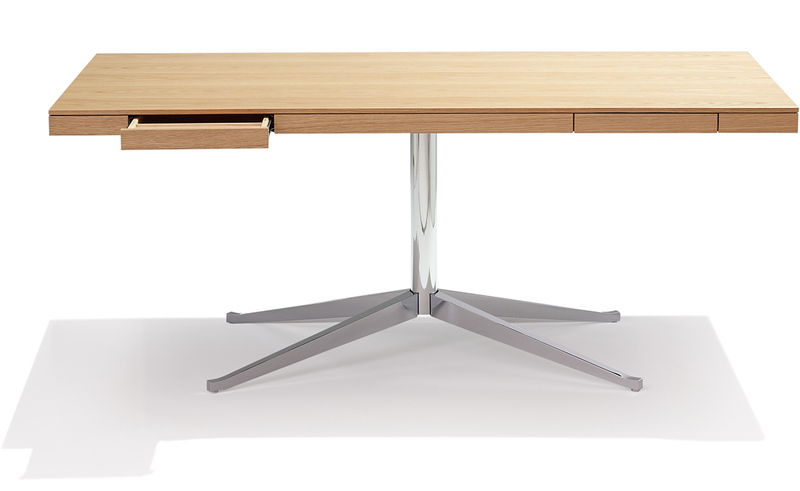 She labored over the relationship between this table top and its legs to achieve a partners' desk typology for effective collaboration. 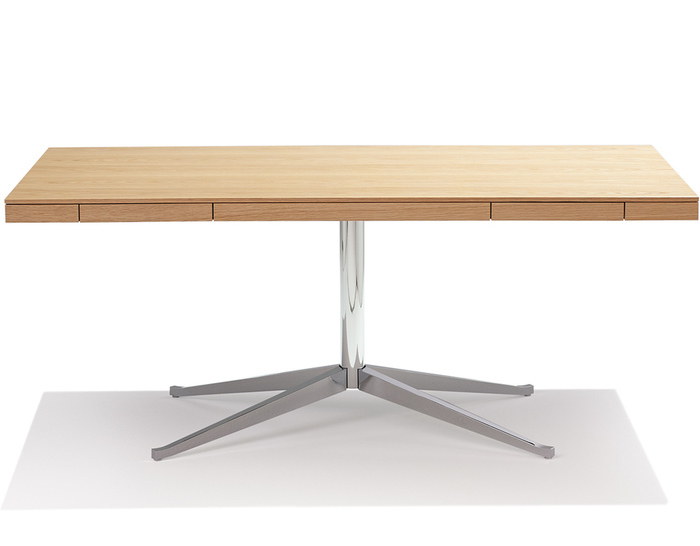 Today, the rectilinear veneer top is available in five finishes: mahogany, oak, rosewood, teak and walnut. 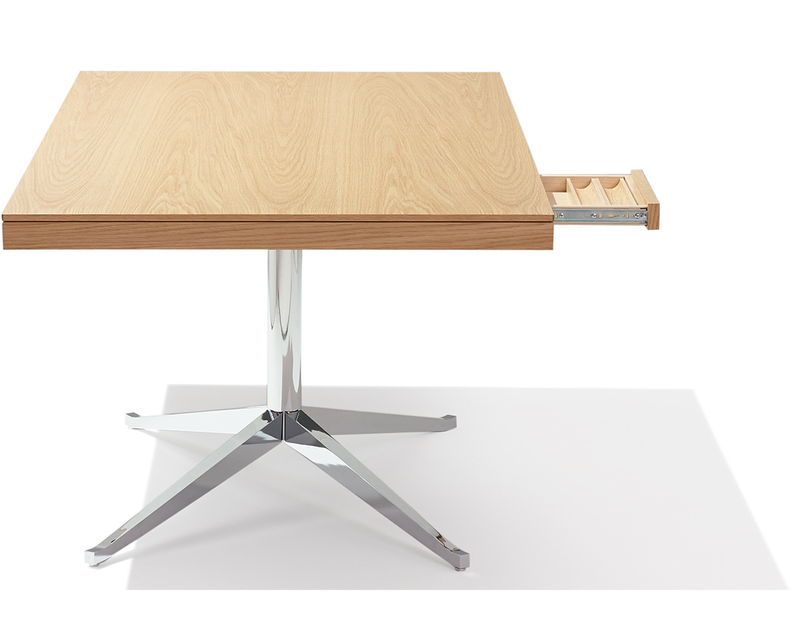 The top features two pencil drawers that provide adequate storage for personal devices and accessories; each drawer contains a solid lumber pencil tray. 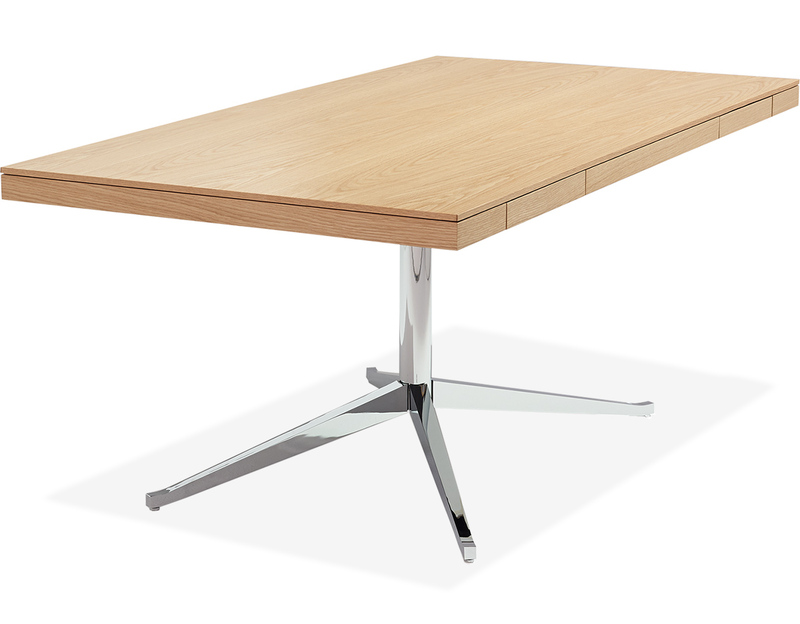 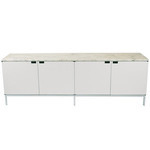 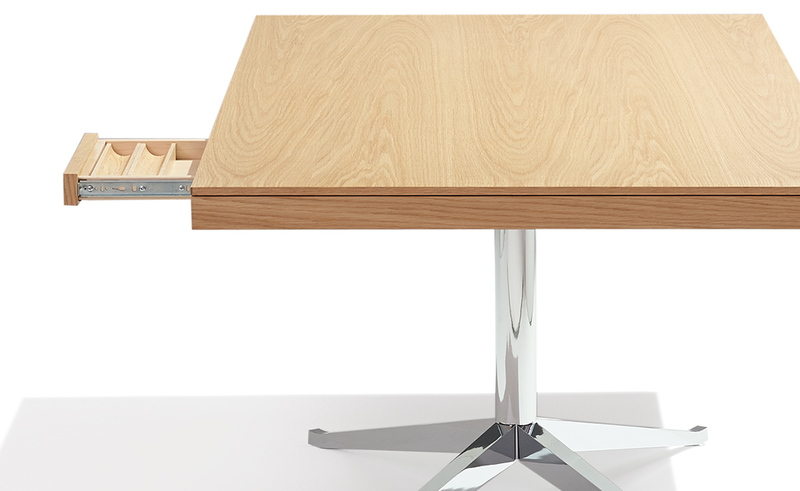 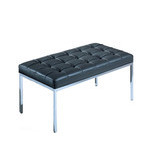 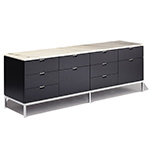 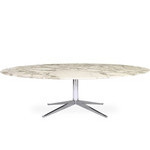 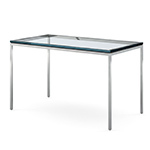 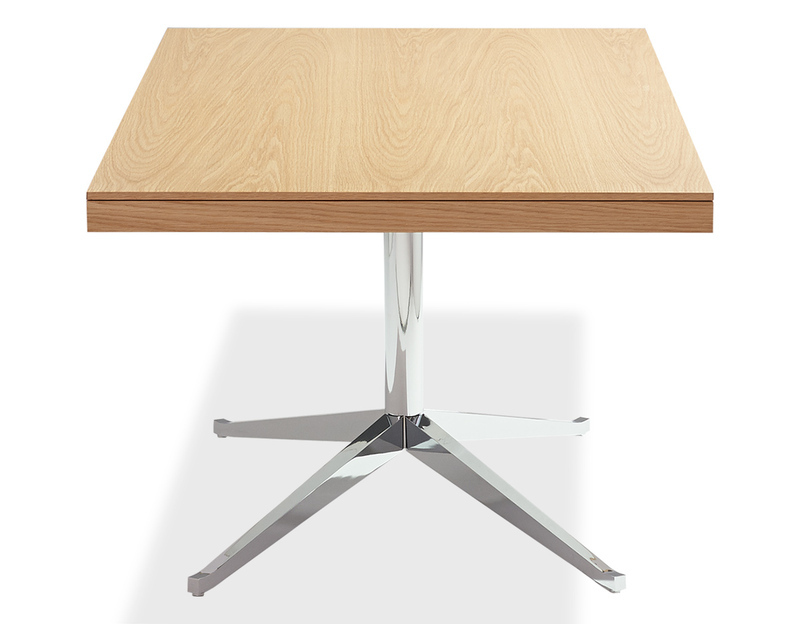 The steel base is available in either polished or satin chrome. 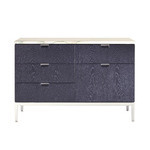 $8,057.00 + plus shipping in the continental U.S.